3.5 million searches per minute are being performed on Google in 2017. This has grown by more than 45% in just the last year and continues to grow steadily. At the time of writing, there are reported to be more than 1.2 billion websites on the Internet and this is growing by the minute. There are also a reported 3.74 billion Internet users in the world browsing for answers to their questions. You will probably have heard of a popular content management system (CMS) called WordPress which is by far the most commonly used CMS in the industry and is currently used on around 27% of all websites worldwide. One report recently announced that there are around 50,000 new WordPress websites added daily. All this presents piles of new data for the search engines to find, analyse and file away in their indexes ready for searches. People generally are also spending more time each day on the Internet, over a longer period of time throughout the day and night and are typically using a range of different devices (desktop, laptop, tablet and mobile phone) – we are all becoming more and more dependent on the Internet. I don’t know about you but if I lose my Internet connection at any time it is a major issue, you don’t realise just how much you depend on it until it isn’t there! At the beginning of the “search” era, things were fairly simple and people searched for specific individual keywords, or “broad terms” as we would call them, but as search evolved, it returned more and more results for a given term so much so that it became overwhelming. This meant that people then moved on to searching for longer terms or phrases in order to be a bit more specific about what they were looking for and to reduce the number of results returned. For example adding a location (e.g. city) to the search can narrow down the number of results significantly (to thousands rather than millions generally – depending on the topic and competition). 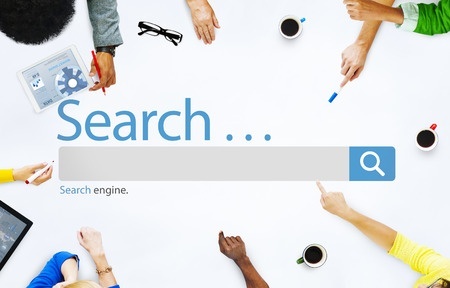 As time goes on, search engines and their algorithms get cleverer and search terms get longer. We have reached the point now with the advent of speech driven search (where you actually speak your question to your device like you would to another person) we are seeing full sentence questions. Artificial intelligence (AI) and machine learning algorithms are making search engines far more intelligent too. Local search is the most important factor these days. 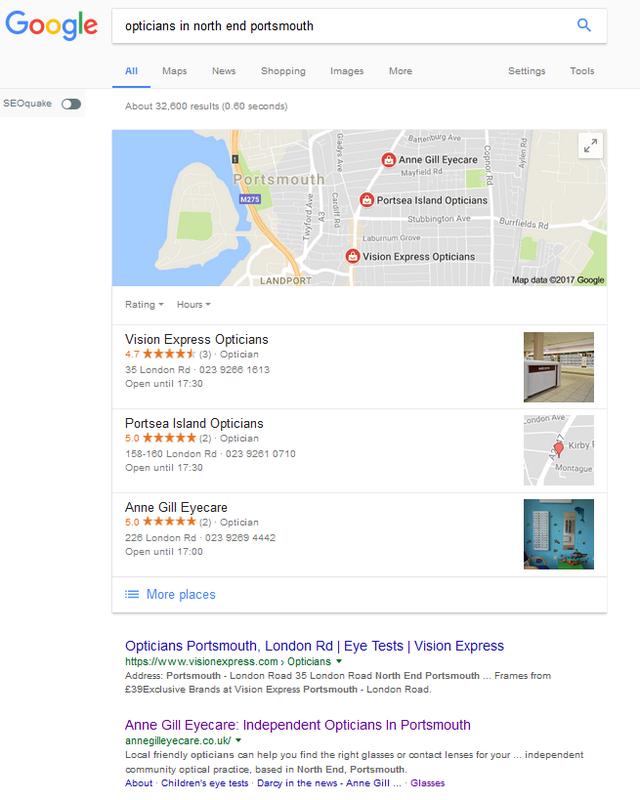 The search engines trawl though their data and try to return the most relevant answer to the query and identify the source of the nearest websites to the searcher’s actual location. They can return so much detail such as contact details, directions (with a map), the distance away from the searcher, opening hours, reviews, links to their website and of course links to the answer to the search query on the websites. Having good quality, relevant content on your website that the search engines can clearly identify as the answer to a search query is obviously very important. Because of this, competition is rife now between websites to see who can write the best content so that the search engines can choose them over the competition as the most relevant answer and rank them higher in the search results listings. It used to be recommended that you should have a minimum of around 300 words on a page in order to give the search engines sufficient information to work out the topic of the page when they crawl it. These days, content is getting longer with 1200 to 1500 or more words being quite common. Many studies agree that there is evidence to show that these longer form articles are getting ranked higher. Having lots more content makes it more difficult to read and hold the reader’s attention so it is now even more important to add structure to the content (headings, sub-headings, bullet points, shorter paragraphs) in order to make it more scannable to the reader. A few relevant images and maybe a video can also be beneficial. Statistics also show that more and more people are using their mobiles to search for what they are looking for on the Internet. This will of course vary to some extent for different topics, types of business and products but it cannot be ignored as a growing trend. 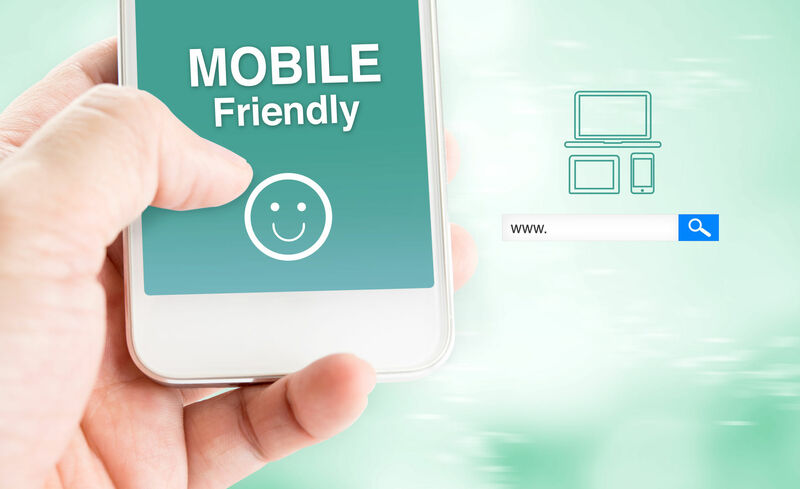 It is therefore essential that your website content is easily viewable on mobile devices with smaller screens as well as on larger screen devices. These days having a “responsive” design that allows the website to dynamically adjust its layout depending on the screen size is important. The design also needs to be able to load quickly on mobile devices otherwise visitors get fed up waiting and bounce off elsewhere. It is important to try and keep the reader on the page for as long as possible as the search engines use this as a measure to see that the answer they returned was relevant to the original query. If lots of readers stay for a length of time on the page, clearly they found the answer they wanted so the search engines can see they have got it right. If they leave the page quickly (called “bounce”), the content was not relevant enough so they go and look elsewhere for a better answer and the search engines would review their rankings. You can get this information from your website analytics data so have a look and see how your website and content is performing and have a look and see what you need to improve. If you haven’t reviewed your site content for a while, now would be a good time to do so and make sure you are keeping up with your competitors. next post: Does your website use a .eu domain ?